What Should You Know About Isolated Power Systems? 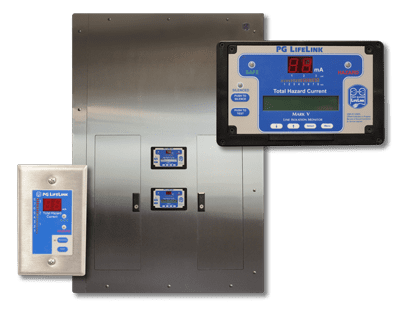 Isolated Power Systems are designed to protect patients and personnel from electric shock in critical care areas, maintain the continuity of power in the event of a first line-to-ground fault, and continuously monitor the cumulative hazard current from all connected equipment. As technology progresses, medical facilities rely more heavily on advanced electrical equipment for critical patient care. 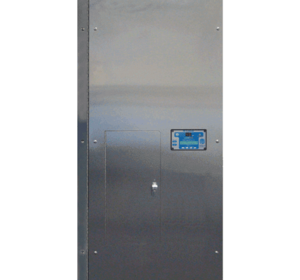 Special protection against electric shock is required by NFPA 99 Healthcare Facility Code and NEC to be installed in all “wet procedure locations”. Isolated Power Supply Systems are the preferred method of achieving this protection where power interruption cannot be tolerated. 3.3.171 – "Wet Procedure Locations. The area in a patient care space where a procedure is performed that is normally subject to wet conditions while patients are present, including standing fluids on the floor or drenching of the work area, either of which condition is intimate to the patient or staff." 6.3.2.2.8.4 – "Operating rooms shall be considered to be a wet procedure location unless a risk assessment conducted by the health care governing body determines otherwise." 6.3.2.2.8.1 – "Wet procedure locations shall be provided with special protection against electric shock." 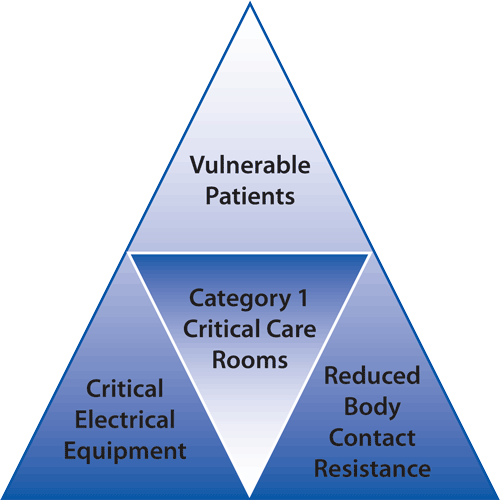 In addition to Operating Rooms, "wet procedures" are often performed in other Category 1 (Critical Care) Areas. ED, L&D, Cath Lab, ICU, and Post-Op areas. These areas may pose an elevated safety risk of electrical shock to patients or caregivers due to contact with conductive fluids such as antiseptics, irrigation and body fluids. The Isolated Power System safely limits the first-fault ground current without interrupting the supply of power to critical equipment. GFCI protection is not recommended on any critical load that cannot have an interruption of power while in use. Installing an Isolated Power System reduces the possibility of electrical shock for both patients and caregivers. Isolated Power Systems maintain power continuity for life support equipment and give advance warning of potential equipment failure. Installed in NFPA defined “wet procedure locations” to protect patients and caregivers from electric shock. 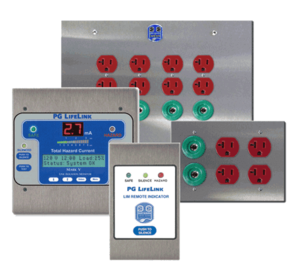 A key component of the Isolated Power Panel providing both visual and audible alarm signals to alert of a possible line-to-ground fault. 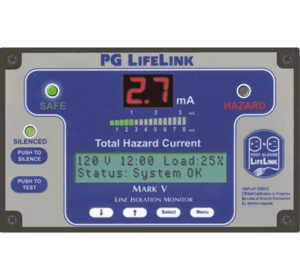 PG LifeLink’s Accessories create a safe, convenient and easy to use complete Isolated Power System.